COMPLETE LAYOUT AND LINE UPS HERE! The 2018 Independence Day Air Show is almost here! ID4 2018 will take place at CinSal International Airport, Agrippa, where it was held last year. The first ID4 Air Show took place at the now gone Tuarua Fiji International Airport, Maho Beach, in 2016 (see here!). For this third edition the SL Patrouille de France and the Anemone Wing Walking team join Second Life's United States Navy Flight Demonstration Team Blue Angels for two days of excitement and fun! 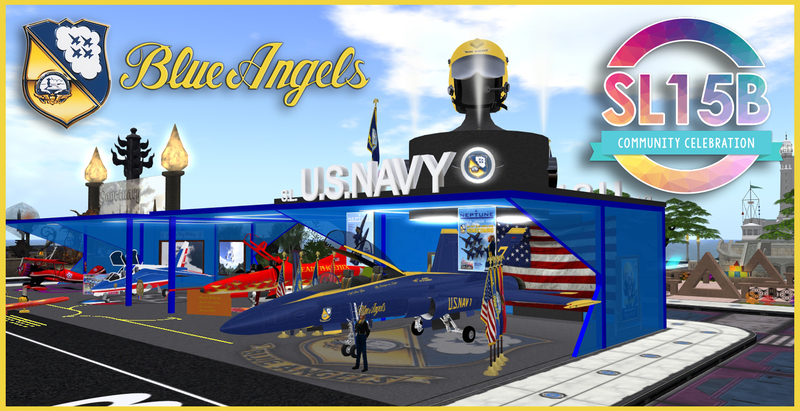 The U.S. Navy Blue Angels in SL have been the ambassadors of the United States Navy in this virtual world since 2016 and have taken their aerial demonstration across the grid to inspire audiences to both the art of flying and the United States Navy, just as the real Blues do in real life. The mission of the United States Navy Flight Demonstration Team in Second Life is to showcase the pride and professionalism of the United States Navy and Marine Corps by inspiring a culture of excellence and service to country through flight demonstrations and community outreach. Anemone Wing Walking is a wing walking performance and training team. 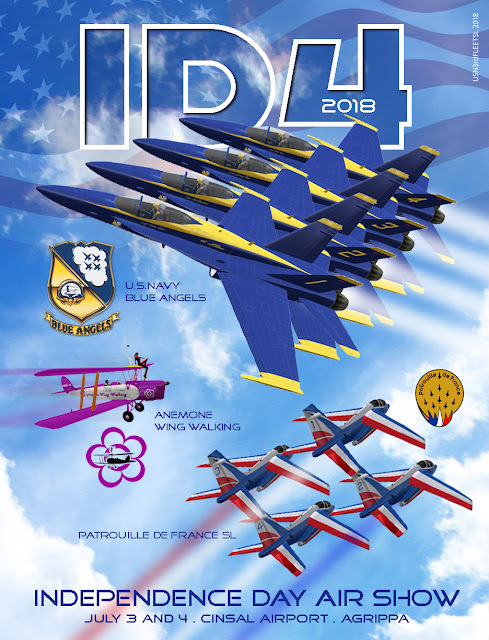 The group is not only intended for its team members, but also for all other wing walking performers and enthusiasts. 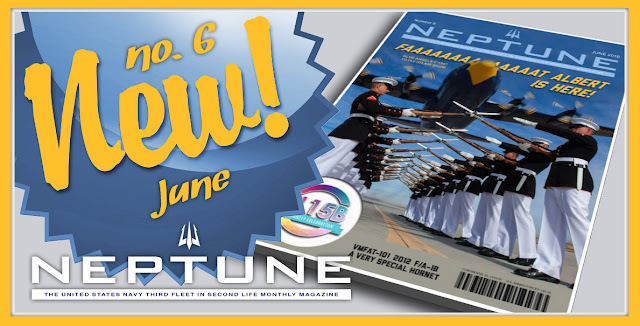 Anemone Wing Walking activities include performing shows, training of wing walkers and pilots, while also providing personal wing walking experiences. They are based out of Fiji Islands Airport, in Tuarua Fiji, and join the 4th of July air show for the first time this year! Complete layouts to follow! Stay tuned!